The luxury of South Beach real estate can be seen in these three homes. From the only free standing house in the neighborhood to luxury options nearby, these homes deliver luxury and life elevated. 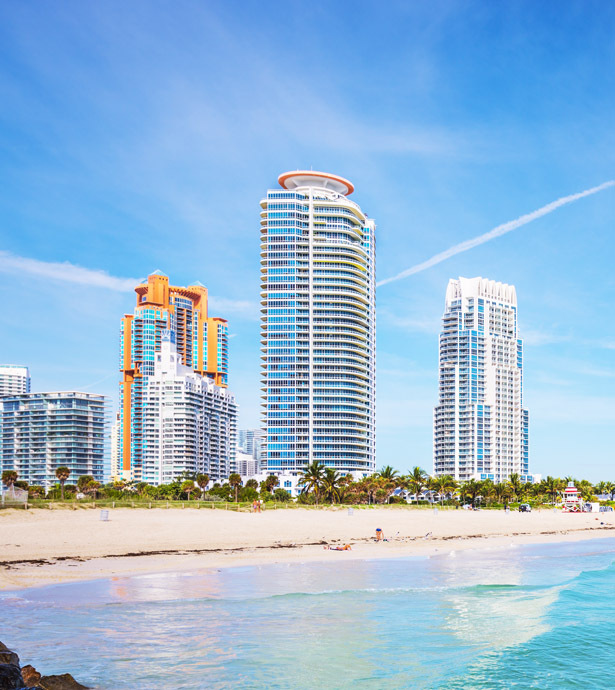 Having property on the water is a great asset in the area, and these homes are prefect examples of South Beach real estate and the luxurious lifestyle it can accommodate. This home is a unique find in South Beach real estate. The only free standing house on Ocean Drive is a four bedroom, four bath, with 7,000 square feet of living space. It is a 1930 home that was rebuilt and remastered, a true gem in the neighborhood. The 10-20 foot ceilings create expansive living spaces. The main living areas are very modern in design and have great open flow from room to room. Outdoor features include a rooftop pool, wood decking, and an outdoor kitchen. New owners will also receive a full time concierge that handles car cleaning, grocery shopping, cleaning, and landscaping. This home is a great example of luxury that comes with South Beach real estate. Nearby, on Star Island, is a custom waterfront estate. The property is 50,000 square feet that can be built on any way you see fit. The property comes with pre-approved plans created by the world-renowned architect, Ricardo Bofil. The approved plans have a very modern aesthetic with impressive glasswork throughout to draw in the natural light and amazing view. The space is very open, modern, and luxurious with nine bedrooms, 11 baths, and an eight car garage. The finished home will have two pools, a rooftop and bay front, as well as a private dock and 209 feet of water frontage. This property is clearly a luxurious opportunity in South Beach real estate. Another South Beach option is this move in ready home on N. Bay Road. There are four bedrooms, each with their own bathroom, and great views of the waterway. The large master suite has two terraces, front and rear. The real draw to this home is the expansive waterfrontage on the property. The backyard has great waterfront access as well as lush landscaping, creating your own private retreat. The 100 feet of water has a private dock and can accommodate a variety or water hobbies. This home exudes luxury and is a great find in South Beach real estate. This entry was posted in Star Island and tagged Luxury homes in South Beach, North Bay Road Miami Beach, South Beach Real Estate, Star Island Miami Beach on May 10, 2017 by Giancarlo Bobbio.